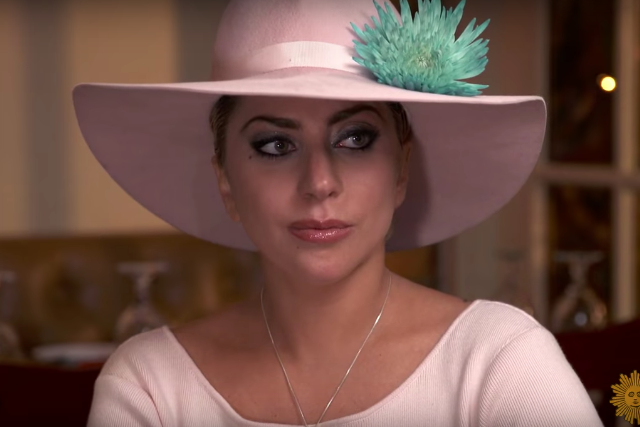 Lady Gaga and her big pink Joanne hat appeared on CBS Sunday Morning today, talking to interviewer Lee Cowan about her latest album, her career trajectory, and the pressures of fame. She also visited Central Park’s Strawberry Fields memorial to John Lennon for the segment, which was filmed last month. Gaga also commented on the end of her relationship with actor Taylor Kinney and her upcoming performance at the Super Bowl halftime show. Watch below.